Nowadays it’s easy for people to connect and communicate with each other in the digital world. For the healthcare industry there is also a simple and yet efficient way to stay connected with fellow medical minds around the world to engage. MediFellows is an incredible digital platform developed for the healthcare industry to connect with medics worldwide. We liked this app so much, we decided to pronounce it a Medical App of the Month. MediFellows is developed for both Android and iOS users, designed especially for the healthcare industry from the healthcare industry. On this innovative digital medical platform, the healthcare community has the ability to interact within the industry with credible content, engaging with medical minds around the world. 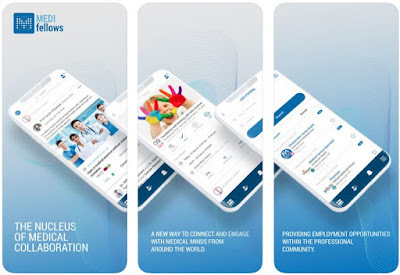 With its user-friendly interface, this incredible app is the nucleus of medical collaboration that allows the healthcare community to connect and discover many opportunities within the professional community directly on their phones. Add your credentials, experience, and background so you can create your professional profile within this healthcare platform. As a user on the app, you will be able to post your own content and even follow user’s posts on your timeline and you are allowed to like posts, comment, tag posts, and share posts easily. Users get the ability to create public or private groups with other healthcare fellows of their choice. A business profile can be also created by the user if he wants to showcase his own medical business, product or service. 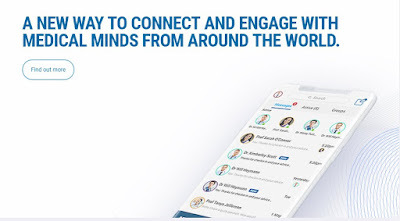 With the app’s chat and group chat function, you get the chance to connect and collaborate with like-minded medical professionals around the world. The platform allows you to collaborate in an integrated, user-friendly manner where the content and interactions are driven by healthcare professionals, for healthcare professionals. Upcoming features will be added so you can create events, job portals and sell or buy items within this healthcare platform. 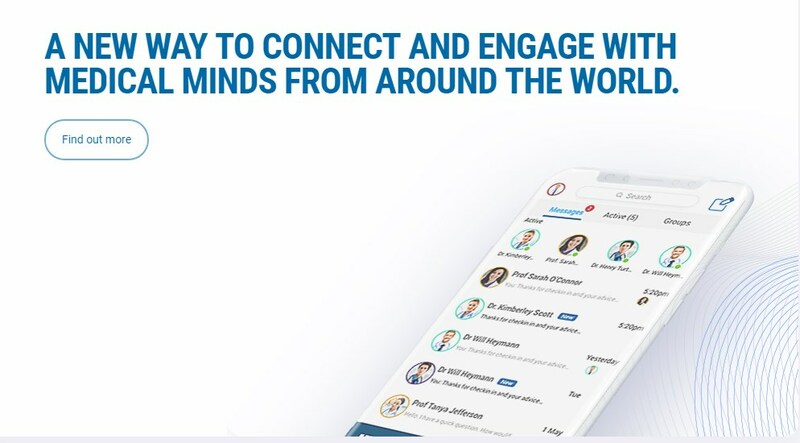 Download it for free on Google Play and App Store to connect and engage with medical minds around the world!